The truth of the matter is that social media content marketing has an important place in a marketing plan. In a study done by Marketing Tech News, 99% of business owners say they plan on investing more in social media marketing in 2019. So with all the money being put into social media marketing, how can you know that it’s working? Just to give you a visual, here’s one of our content marketing and social media client’s results from 2018. Keep in mind, this client was not doing Facebook or Instagram advertising (more on that here). Their focus was social media content marketing. They didn’t do any other marketing or advertising on OR offline. 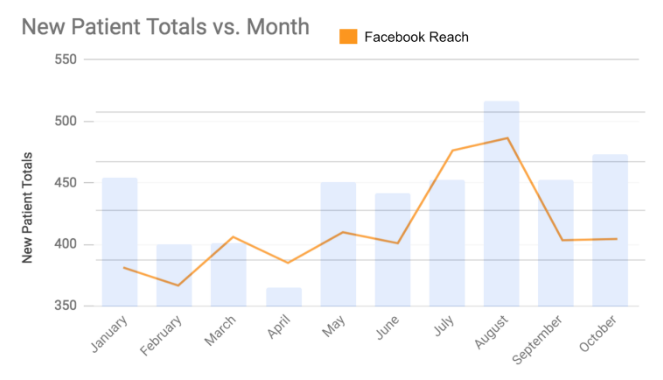 The graph above shows the success of having good content that reaches people on Facebook. But if you are just starting out on this social media marketing world, it might be a little hard to get started. We recommend brushing up on your vocabulary before diving into social media marketing. The term S.M.A.R.T. goals has been used over and over again to direct goal setting. As a business owner, going at marketing without goals is like shooting a bow and arrow with your eyes closed. We should probably leave the stunt-archery to Robin Hood. Every time you launch a campaign, ask yourself: What is the purpose of this campaign? Who will be seeing the creative? What message are we putting out into the world and why? Setting S.M.A.R.T goals can help keep you on the right track and have something to measure against when it comes time to evaluate your campaign. These metrics are considered “vanity” metrics and measure how popular your content was with your audience. While you can’t always predict how a post will go, having a solid understanding of what kind of content your audience likes can help you plan your social media better. If your goal is to keep an average 7% engagement rate (Duo’s average), and you post something that only gets a 1% engagement rate, you know it isn’t a post type or topic you should post again. Social media changes daily. There are over 300 million photos put on Facebook every day. (Source: Gizmodo). In all that mess, is your message getting out there? We recommend taking time every Monday to evaluate your content. Did it do its job? Did it help us reach our goals? Why or why not? How can we improve for the next week? These discussions don’t have to be long, just brief conversations to keep you on track. Think of it like losing weight. You step on the scale once a week to see how you are doing in reaching your goals. If you’ve gained weight, you cut back. If you’ve lost weight, you keep doing what you were doing the week before. We love using Google Sheets to track our results. Then, we map it all out in a chart to visualize the data. Whether we are tracking likes, shares, comments, or engagement rate, it helps to have a place to be accountable. Math can be hard sometimes, especially when trying to prove ROI. We love using this free tool from Hootsuite to show the ROI. All it takes is a basic knowledge of how your posts are performing and then, you calculate it out. 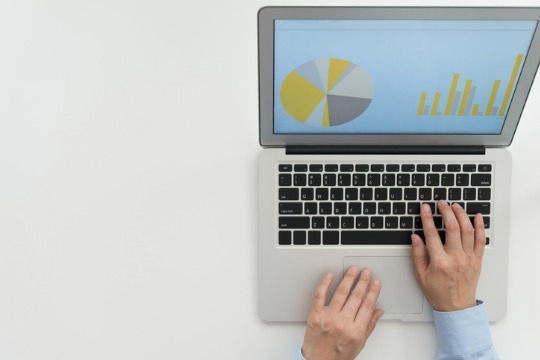 While it might not be 100% accurate, it is a great starting point to help determine the necessary boosting budget to get results. Part of measuring ROI is knowing a few basic things about your social media, including how much a client is worth to you and how much you are willing to spend to get them. For big ticket clients like lawyers or knee replacement doctors, it might cost upwards of $60 a lead. But if that lead turns into a $20K client, the money was well spent. Other smaller businesses might need a few smaller purchases ($10-$15 each) and only need to spend $2-4 to get a lead or purchase. Prior to starting any campaign, always look at how much value each patient, client, lead, customer, etc. will bring. Google My Business has a graph on its Insights page that measures how many searches were done with your branded or name terms. For our social media content marketing clients, they almost always see an increase in branded search terms after about four months with us. More people are seeing their Facebook or Instagram posts and then turning to Google to learn more. If your direct or brand searches increase, it is a sign that your brand is being trusted, researched, and sought out. Give yourself a pat on the back if you see your name searches increase after launching a social media marketing campaign. It means you are doing your job. Social media marketing can be a beast. We know. We’ve been doing it since 2010. At Duo we’ve seen social media change. A lot. Social media content marketing has ROI and, with some guided help, you can prove it to your organization. As we come into the new year, take time to set goals that your business can accomplish and then get to work.